NG-911 is transforming how public-safety answering points process and utilize logging and recording data in order to prevent information overload. In February 1968, the first 911 call was made in Haleyville, Ala. In September 1976, Chicago claimed the first enhanced 911 system of any major city in the United States. By December 1982, Minneapolis-St. Paul implemented an E911 system that was the first multicounty enhanced system in the country. 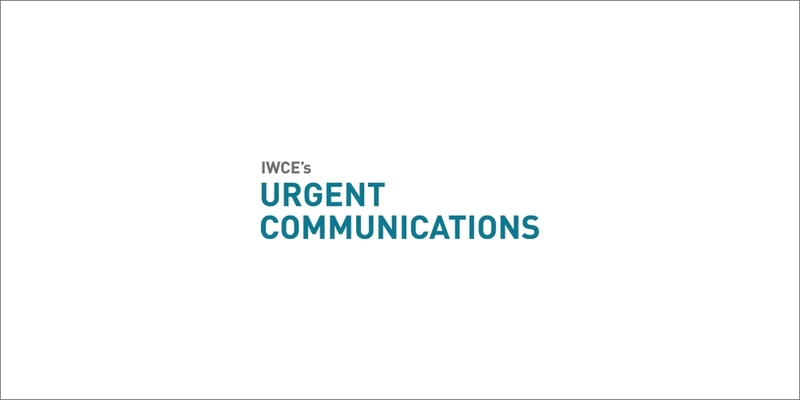 Since these major milestones more than 25 years ago, the emergency communications landscape has remained remarkably unchanged — that is, until the advent of next-generation 911. NG-911 has sparked the next revolution to an industry that has not seen such wide-sweeping change since the first 911 call was made more than 40 years ago. The NG-911 initiative is based on a research-and-development project funded by the Department of Transportation, and is shaping the framework for deploying Internet Protocol (IP)-based emergency communications across the nation. As such, it has helped redefine functional requirements and system architectures, and has spawned operations and transition plans that consider implementation costs, values and risks. Provide standardized interfaces from call and message services. Process all types of emergency calls, including non-voice messages (e.g., text, video). Acquire and integrate additional data useful to call routing and handling. Deliver calls, messages and related data to the appropriate public safety answering points and other related emergency entities. Support data and communications needs for coordinated incident response and management. Provide a secure environment for emergency communications. As this expansive agenda is realized, PSAPs are beginning to take advantage of newer enabling technologies that are being applied in conjunction with traditional call-recording and -logging solutions. These new solutions are designed to pull the most valuable information out of citizen interactions and then apply that information to the hundreds or thousands of daily transactions handled by PSAP staff. Few organizations have the time, staff or budget to listen to every single call in order to monitor quality of service and other performance metrics. But with the ability to integrate speech analytics into traditional recording and logging, as well as broader work-force optimization (WFO) solutions into their operations, public-safety organizations of all sizes now can achieve more effective performance. In addition to these benefits, NG-911 also presents several new operational and technological challenges. On the operations side, PSAPs must learn how to interact and collaborate with other departments throughout the agency — such as discovery and investigation — as more applicable and relevant information is captured and shared beyond the dispatch center. In terms of technology, these other areas of the organization will need to interface with the call recorder, and in the future, the event recorder. PSAPs also have to think about how these systems interface with other municipal communications systems, such as video surveillance. NG-911 is transforming call recording and logging, as citizens expect more from their emergency-services infrastructure, and PSAPs will need to respond to new data sources that encompass phone, text messages, screen captures, images and videos. For example, PSAPs that comply with the NG-911 standards will be able to deploy technology that incorporates video feeds that are captured duriNG-911 calls from a variety of cameras — highway, private security, ATMs, hospitals, and more. This influx of new information gathered from a plethora of multimedia devices will today’s traditional PSAPs transform into multi-dimensional command centers that provide police, fire and EMS and investigators with a 360° view of emergency situations. With the advent of NG-911 and the resultant availability of more and new types of data, PSAPs can benefit from previously inaccessible information that can be leveraged proactively to aid citizens. In addition to helping call-takers more effectively handle calls and dispatch personnel and equipment, technology such as speech analytics can transcribe and index the content of every call, automatically identifying trends and relationships. Such technology can uncover critical information about incidents and call-taker responses that most PSAPs today don’t know exist. For example, by identifying increased use of such words as “gang,” “loitering,” and “Main Street,” speech analytics can alert emergency communications centers and first responders to suspicious activities — even before crimes and emergency situations play out. This never-before-gathered intelligence offers PSAPs the opportunity to anticipate and prepare for potential problems and address them before they escalate. Speech analytics uniquely can help emergency communications centers start to connect the dots and identify correlations between similar calls — such as specific types of vandalism or theft — and provide law enforcement and other agencies with a more complete view of criminal and other activities that they might otherwise not possess. Event investigators also will benefit from this advanced capability, which will enable them to more effectively reconstruct incidents. NG-911, as well as other emerging public-safety mandates, will impact virtually every aspect of emergency communications operations: hardware, software, data, employee hiring and training, and operational policies and procedures. For example, new communications networks will support the use of virtual emergency services centers and the ability to route request calls to alternate assistance entities, such as suicide-prevention and poison-control hotlines. As a result, call-handling protocols are likely to change, and public-safety agencies largely will be responsible for training employees and ensuring readiness. Although these public-safety standards seek to improve the responsiveness of emergency services by leveraging advanced communications and location-tracking technologies, they can place serious cost and operational burdens on agencies that already may be faced with funding sensitivities, shrinking staffs, growing workloads and rising expectations. To help ease this burden, many are implementing WFO technologies — including recording, quality assurance and speech analytics — to help meet these objectives. For instance, speech analytics automatically can transcribe calls in their entirety so that virtually any word or phrase easily can be searched within seconds. The general public increasingly demands the same or better responsiveness, quality, and accountability from public-safety agencies that they expect from commercial call centers. The advent of NG-911 will drive dramatic changes in the skill sets and dynamics of PSAP operations. As a result, the traditional linear call-taking/dispatch process will become more complex, and call-takers will need the right tools to master new processes, procedures and technologies. There’s a lot at stake, as poor performance can have a dramatic impact on the safety and security of people and property. That’s why forward-thinking PSAP and emergency services organizations increasingly are looking for a unified WFO strategy that incorporates quality assurance, analytics and advanced training tools that can play a pivotal role in identifying areas of improvement and easing the challenges inherent in traditional staff monitoring and development. For example, speech analytics can help identify specific calls that are representative of best practice call-handling and use these recordings to help train other staff that may encounter similar emergency situations. Such training supplements can be powerful tools for helping call-takers and dispatchers build critical skills. Today, many organizations also are beginning to implement Web-based eLearning solutions that make training available to call-takers and dispatchers on their desktops. This makes it easy for supervisors to assign training to individuals or groups based on performance observations. This approach also augments traditional classroom training and promotes best practices and desired behaviors across the organization. An automated coaching solution can automate workflow for scheduling, delivering, and tracking employee development to promote more timely completion of coaching sessions. These WFO tools simplify the process for staff improvement so managers and staff can concentrate on what matters most — delivering the highest level of service possible to the public. NG-911 is driving a whole new era in citizen service that will help turn response from reactive to proactive. With the right training, processes and technologies, PSAPs can be transformed into true command centers — while also serving as the main point of intelligence, sharing valuable insight with other public-safety departments for more informed responses and prevention. Bill Pryor is the director of public safety for Verint Systems. He can be reached at bill.pryor@verint.com.